John Abraham starrer Satyameva Jayate, an action masala entertainer was released on 15th August. Being a national holiday, the film received a fabulous response from the audience. Even though being an A rated film, Satyameva Jayate has become the highest opener for not just the actors John Abraham but also is the highest for Bhushan Kumar and Nikkhil Advani’s joint association. The film has currently stands at the total of 83.99 crores at the box office. Directed by Milap Milan Zaveri, Satyameva Jayate has been doing tremendously well at the box office. After breaking several records, the film has also entered the list of most profitable films of 2018 and already it has surpassed Dhadak in the list. Now, it has also surpassed Akshay Kumar’s PadMan (78.95 crores) and Kareena Kapoor Khan’s Veere Di Wedding (80.23 crores) in the list of highest grossing movies of 2018. It now is positioned at the 10th place eliminating both the films from the list. The film is now on its way to cross the 90 crore mark and the next target to surpass is Gold (98.60 crores) and Raid (101.54 crores). Satyameva Jayate Is Now One Of The Most Profitable Films Of 2018; Beats This Film! 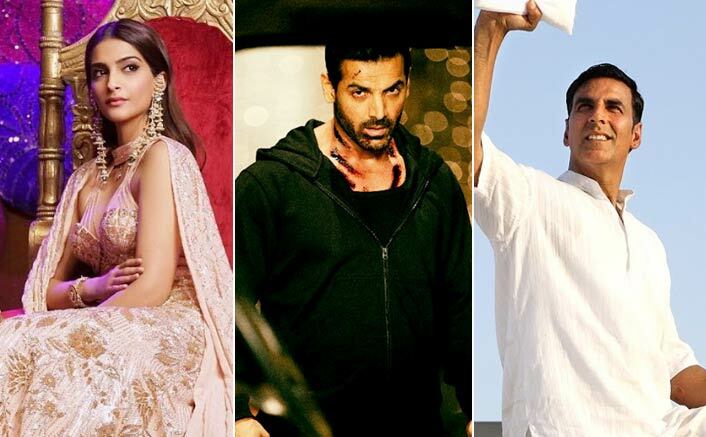 The post Satyameva Jayate Box Office: Enters The List Of Highest Grossing Movies Of 2018! appeared first on Koimoi. Race 3 Box Office: It Is Already Jacqueline Fernandez’s 3rd Highest Grossing Movie!